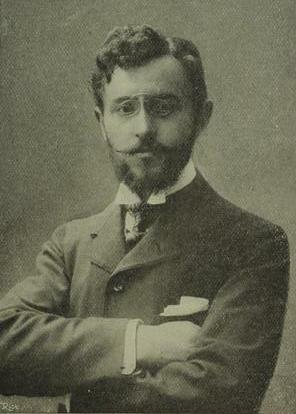 Florent Schmitt, photographed in 1900. Taking a look at Schmitt’s piano scores, what’s immediately apparent are the technical demands that are required to do the music justice. It’s akin to what the French pianist Alfred Cortot famously characterized as Schmitt’s “fistfuls of notes” — no doubt the product of the composer’s predilection to give his piano music an “orchestral” character. We see those traits in evidence early on in Schmitt’s compositional career. A few very early piano works — such as Soirs, Op. 5 from 1890-96 — are managed easily by pianists with moderate technical playing skills. There are also the four piano duet sets that Schmitt composed for didactic purposes — Sur cinq notes, Une semaine du petit elfe Ferme-l’oeil, Huit courtes pièces and Trois pièces recréatives. But beginning in the late 1890s, Schmitt’s piano music began to take on characteristics that would eventually inform nearly all of his creative output: dense writing (often on three staves in his piano scores), polytonal complexity, plus rhythmic vitality coupled with frequently changing time signatures. A prime example of the transition is Schmitt’s Trois valses nocturnes, Op. 31, a set of three pieces he composed during his Prix de Rome period which came about due to winning the Paris Conservatoire’s prestigious first prize in competition in 1900. 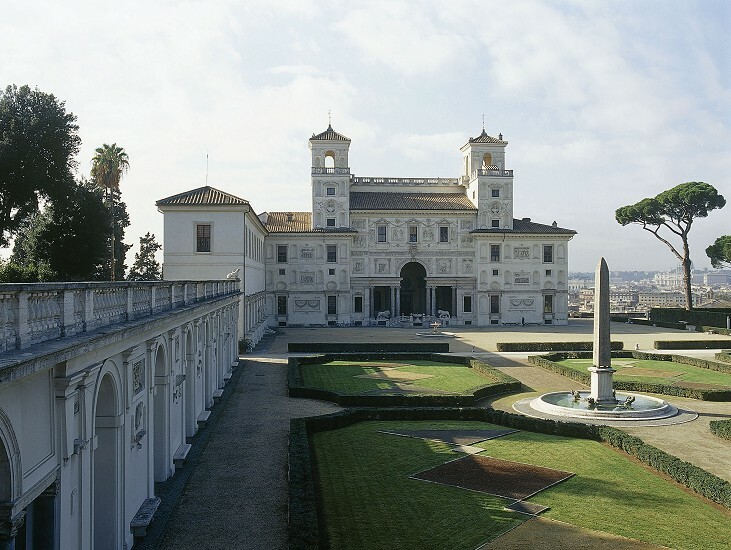 Being a prizewinner afforded Schmitt the opportunity (and the stipend) to spend several years based at the Villa Medici in Rome (along with liberal stretches of travel throughout Europe, North Africa and the Near East for the intrepid composer). Florent Schmitt’s stay at the Villa Medici in Rome was notable for the amount of time he wasn’t there — instead traveling throughout Germany and Scandinavia, around he Mediterranean and the Near East. For Prix de Rome winners, their time at the Villa Medici was completely unstructured. The only proviso was to send periodic envois back to Paris. For the architects it was architectural designs; for the authors it was their writings. 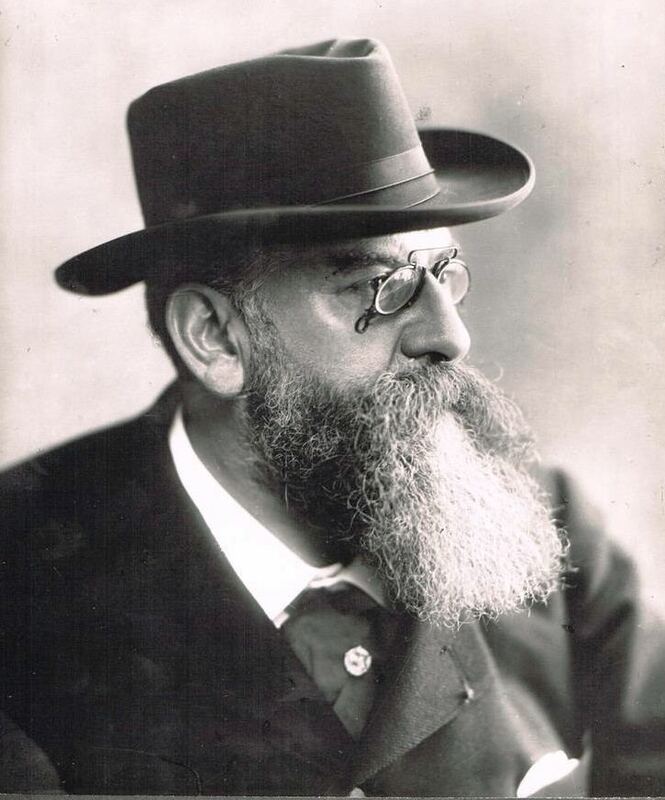 In the case of Schmitt, his envois consisted of several compositions scored for orchestra and chorus — chief among them the symphonic poem Le Palais hanté, the orchestral suite Musiques de plein air, and the celebrated Psaume XLVII for soprano, chorus, organ and orchestra. But beyond these works, Schmitt also created numerous piano and vocal envois such as Chansons à quatre voix for vocalists and two pianos, Reflets d’Allemagne for piano duet, Trois rapsodies for two pianos … and Trois valses nocturnes. Each of the movements bears a dedication to a different musical luminary, whose personality is also reflected in the character of each piece. Schmitt dedicated the first movement in the set to Raoul Pugno, a French pianist, organist, teacher and composer who was the first internationally recognized pianist to make recordings (1903). 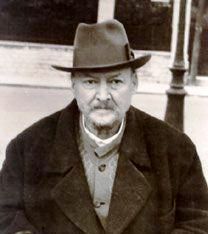 Alexander Glazunov (1865-1936), photographed in later life during his voluntary exile in Paris. The second movement bears a dedication to the famous composer Alexander Glazunov. At first blush this seems completely apropos, as Glazunov would leave Russia in the years following the Bolshevik Revolution, never to return — settling in Paris (where he would die in an impecunious state in 1936). But then we quickly realize that Schmitt’s score dates from several decades earlier — at a time when Glazunov was still a feted composer of the Russian Empire and where his most popular ballet Les Saisons had been mounted at the Imperial Theatre of the Hermitage (Winter Palace) in St. Petersburg just one year prior to Schmitt’s composition. It is highly doubtful that the young Schmitt had yet made a personal acquaintance with Glazunov (as he most assuredly would do in later years) … and yet the second Valse nocturne has a distinctly Slavic flavor to it — all allowances being made to other stylistic aspects that sound quintessentially French, of course. Ricardo Viñes (1875-1943), standing at far left, pictured with members of Les Apaches. Maurice Ravel is on the far right. The third piece in the set was dedicated to the celebrated young French pianist Ricardo Viñes — a childhood friend of Maurice Ravel and famous interpreter of Ravel’s piano scores. 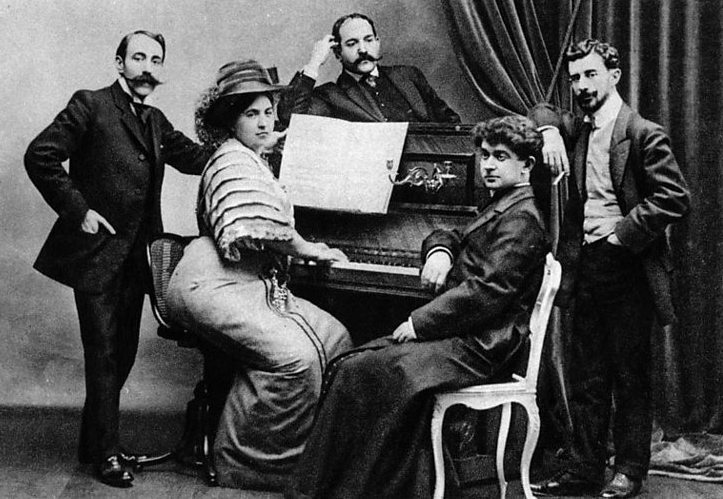 Ravel and Viñes were close friends with Schmitt as well, and all three would shortly become important members of Les Apaches, a Parisian group of musicians, artists and writers who were dedicated to championing new ways of artistic expression unshackled from the prevailing aesthetic conventions. As befits the formidable technique skills of Ricardo Viñes, Schmitt’s piece is virtuosic and makes for a fascinating final movement of the set. And it was Viñes himself who would present the first public performance of Trois valses nocturnes. The score was published by A. Z. Mathot (later acquired by the Durand publishing house). Taken together, it makes for a richly rewarding listening experience. Indeed, these are piano creations that never grow old — even with repeated hearings. Composer and conductor Tony Aubin’s 1953 class at the Paris Conservatoire. 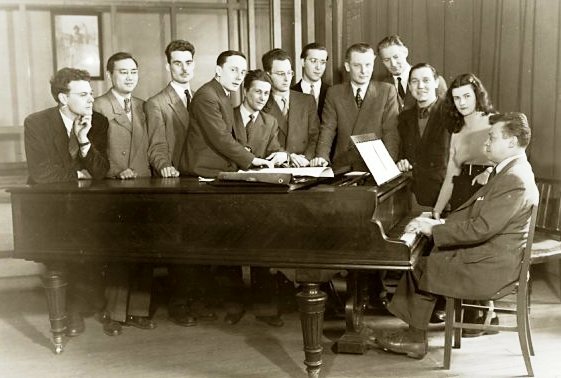 Composer Ginette Keller is standing next to Aubin, who is seated at the piano. Only commercial recording of the full set: Pascal Le Corre (Cybelia, 1986). Unfortunately, the ability to experience these pieces has been limited. There exists only a single commercial recording ever made of the entire set — done in 1986 by the French pianist Pascal Le Corre. Released on the Cybelia label, that recording had only limited distribution outside France and has been out of print for decades. 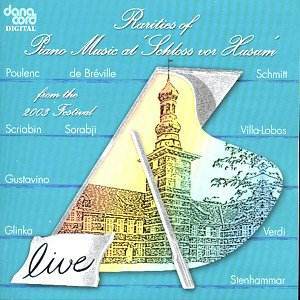 The recording commemorating the 2003 Husum Piano Festival includes Marie-Catherine Girod’s performance of Florent Schmitt’s first Valse nocturne. I’m fortunate to own a copy of the recording, and I can attest to the fact that Le Corre’s performance is a highly idiomatic and sensitive interpretation. It’s definitely a recording that merits re-release. 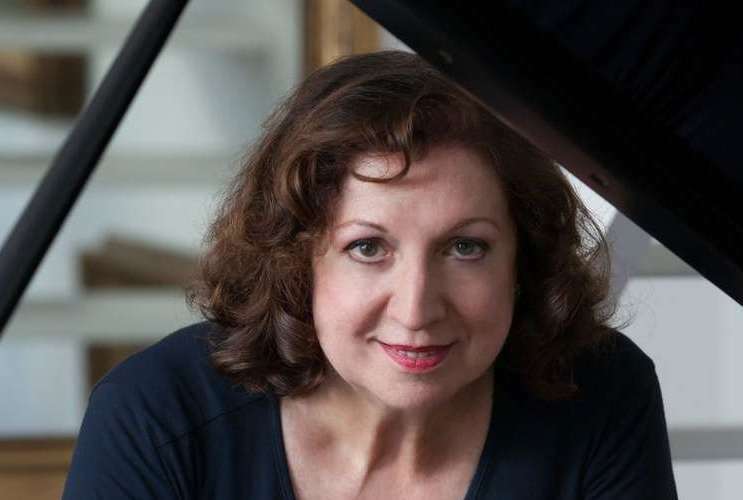 More recently, another fine French pianist, Marie-Catherine Girod, presented the first of the Valse nocturnes at the 2003 Husum Piano Festival. Her performance was made available on a recording commemorating that year’s festival. You can listen to that performance here, courtesy of the Pianushko music channel on YouTube. 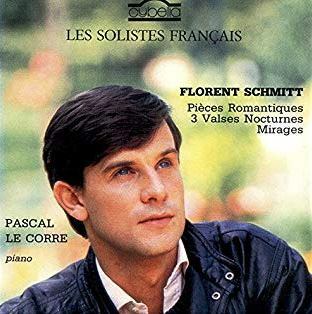 There’s no question that Florent Schmitt’s Trois valses nocturnes would make a stunning addition to the recitals of a new generation of virtuoso pianists. Let us hope for that — as well as the availability of new recorded performances in the years ahead. This entry was posted in Classical Music, Composers, French Composers, Piano Music and tagged Alexander Glazunov, Alfred Cortot, Florent Schmitt, Ginette Keller, Husum Festival, Husum Piano Festival, Marie-Catherine Girod, Maurice Ravel, Pascal le Corre, Prix de Rome, Raoul Pugno, Ricardo Vines, Trois vales nocturnes. Bookmark the permalink. « Clavecin obtempérant (1945), Florent Schmitt’s endlessly fascinating harpsichord suite created for Marcelle de Lacour. I have the Cybelia CD. I bought it in London during the late 80s. Very fine interpretations!